What Sadie Did: Underwear for Curves! I'm a curvy girl. I've had 20-something (ha!) years to get to grips with this and am fine with it (most days!). Yet it was only this year that I discovered Elle Macpherson Intimates - shock horror. Where had these bras been my whole life?! I've found this style great - and have it in every colour now. Whoops!! Having a larger bust, I have at times been self-conscious about it. I'd found in the past that some bras, although supportive, made my chest look far more 'look at me' than I'd wanted. Great for a Saturday night - not great for a Monday meeting in work. And such was my dilemma. Until I discovered Elle Macpherson Intimates. For a lady with a larger bust, a good, SUPPORTIVE bra is a must. And these bras have actually been almost life changing for me. Seriously! I can't recommend them enough! At last I have found a bra that is comfortable, supportive AND looks fabulous!! No more of those uncomfortable bras, back ache, slippage (please tell me I'm not the only girl who's had to deal with hoisting the cups of her bra back into place?!) etc etc. Hoorah for Elle's blinking good bras. And I applaud her for making them in a great range of sizes. 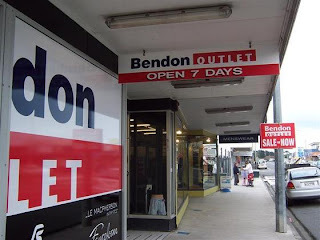 The reason for this post is that on my way back from a road trip to Lake Taupo this weekend, we stopped at Otaki (a tiny little town that basically has a row of outlet stores). I went into Bendon Lingerie and came out 45 minutes later, laden with Elle lingerie. $20 for a bra?!?! $10 for matching knickers?!?! Wow. Now I seem to have an Elle bra in every colour. Must remember that next time I get overly excited at a sale!!! such pretty bras i would have done the same(buy in every color) i'm in the giveaway too!! I seriously need to make a mission to Otaki! Haha I always go on splurges when I see a sale, even if it's 10% off or something, because I automatically think sale = savings! Thank you for your comment on my blog honey! I know, it's horrible looking at all the airy Spring clothes when we have to rug up! My lovely, I must say, I absolutely adore your blog! SOOO following! Thanks for following me! I love this post, I follow you! Very gorgeous pieces. The detailing is quite nice. oh i love elle mcphereson bras!! i have so many of them. i think that they provide great support for all shapes and sizes - i have quite a small chest, but my sisters both are a bit more generously given in that department, and we all love them! just stumbled across your blog on ifb - love that you blog about crafty stuff AND fashion, thought i was the only one!! oh this stuff looks really great. i've actually been meaning to get some new pieces!